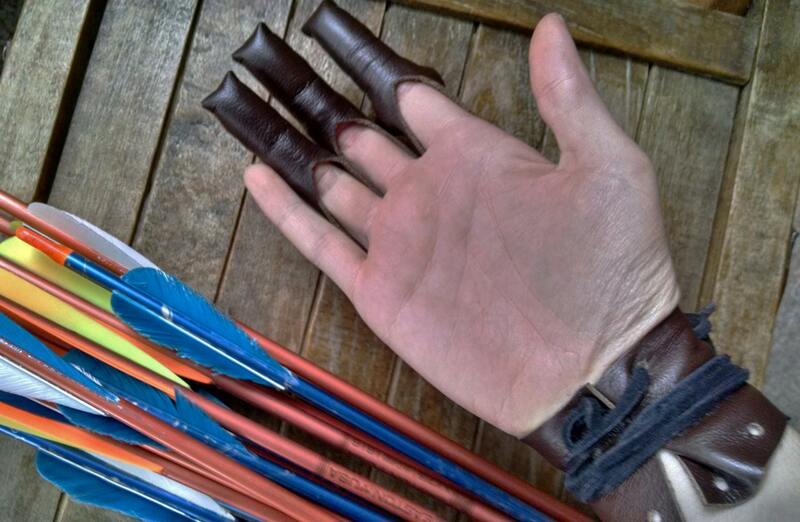 These 3 fingered archery gloves are adjustable, comfortable & functional! 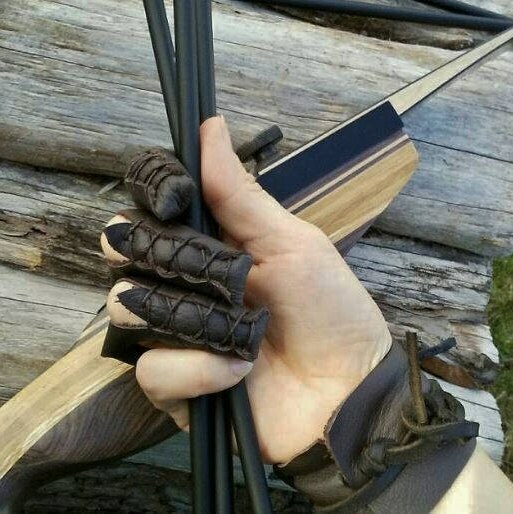 Handmade with quality soft cowhide leather, no seams across the ends of the fingers allow the bow string to slide off with ease. 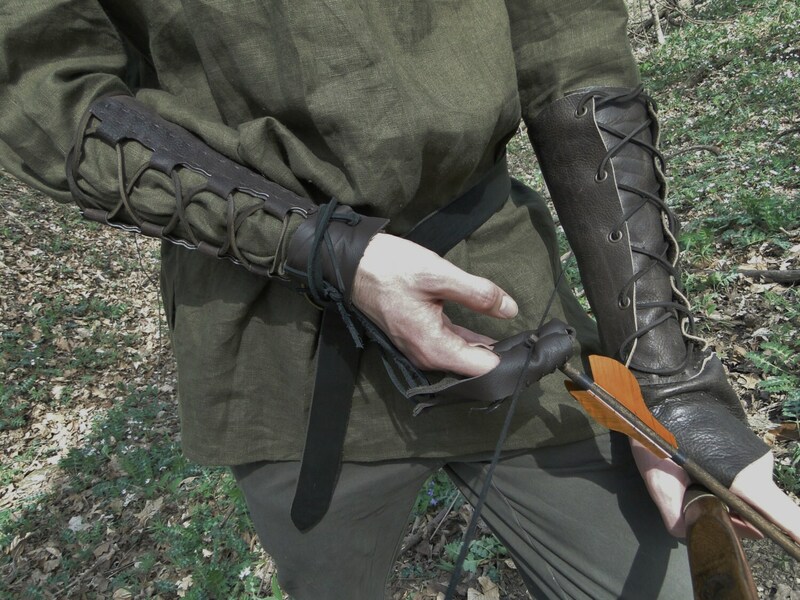 Makes a nice addition to a Medieval Archer costume, or for everyday use! 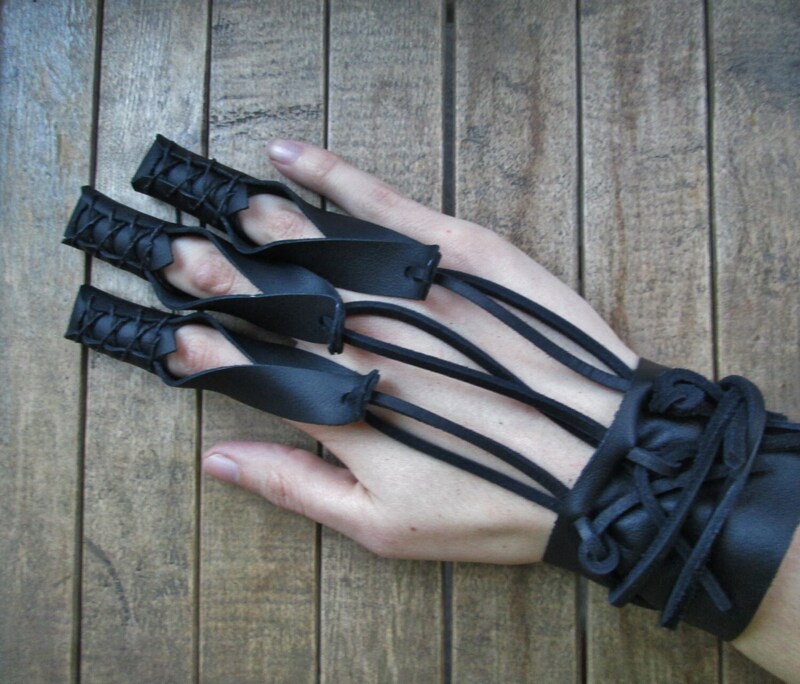 Leather laces make wrist size & finger length easily adjustable. 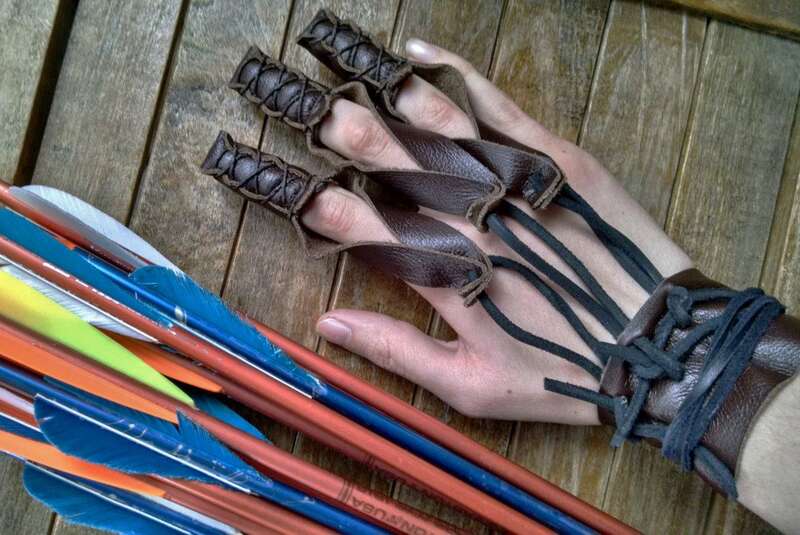 Interchangeable for left or right hand, backs of fingers lace up - once you set the fingers to your size, the leather will form to you - these gloves are easy to put on yourself quickly with just one hand. 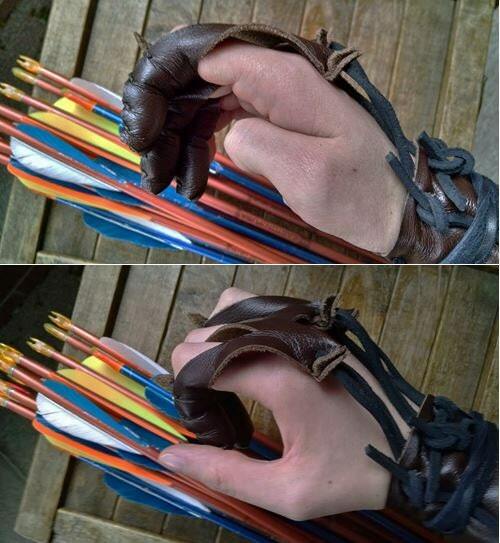 Made for an archer, by an archer! Main leather color of glove can be dark brown or black (colors will slightly vary from pictures). All laces are black. The glove was perfect! It fit well to my hand, and it looks amazing! Really well made, soft to the touch, fits my garb perfectly!